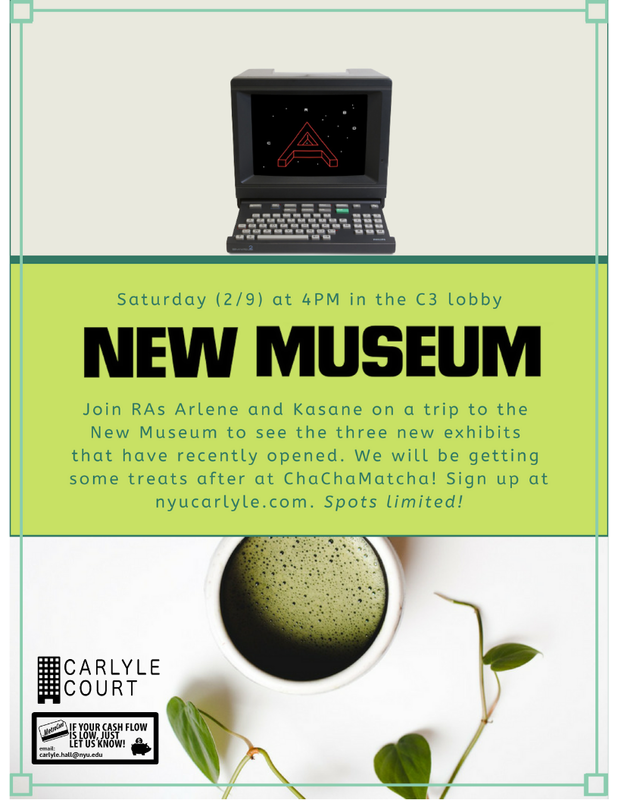 Join RAs Arlene and Kasane on a trip to the New Museum to see the three new exhibits that have recently opened. We will be getting some treats after at ChaChaMatcha! Sign up at nyucarlyle.com. Spots limited!